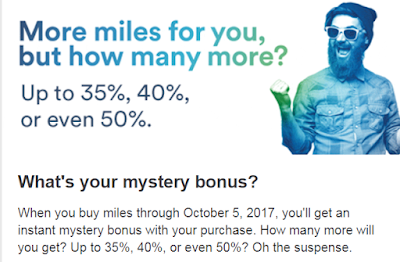 From now to Oct 5, 2017, you could get up to 50% bonus when you buy Alaska Mileage Plan Miles. 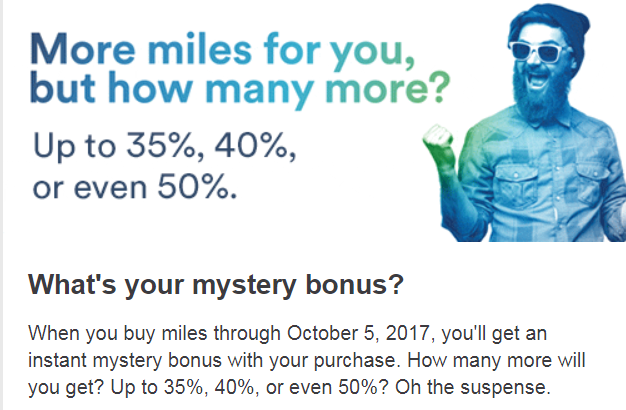 Please check your email for this mystery bonus offer from Alaska Air. I got the offer of 50% bonus.